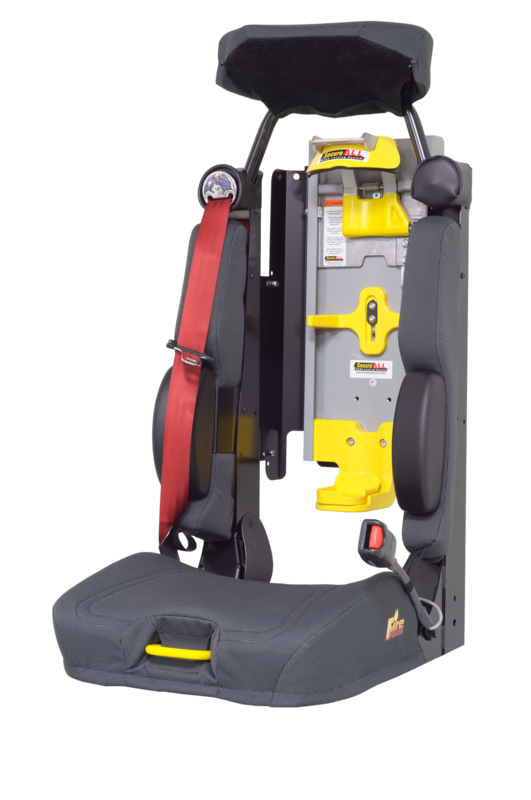 SecureAll™ retrofit kits include SCBA locking system, replacement seat cushion with front-center handle release, cable, and handle assembly. Optional flip-out lumbar pad also available. 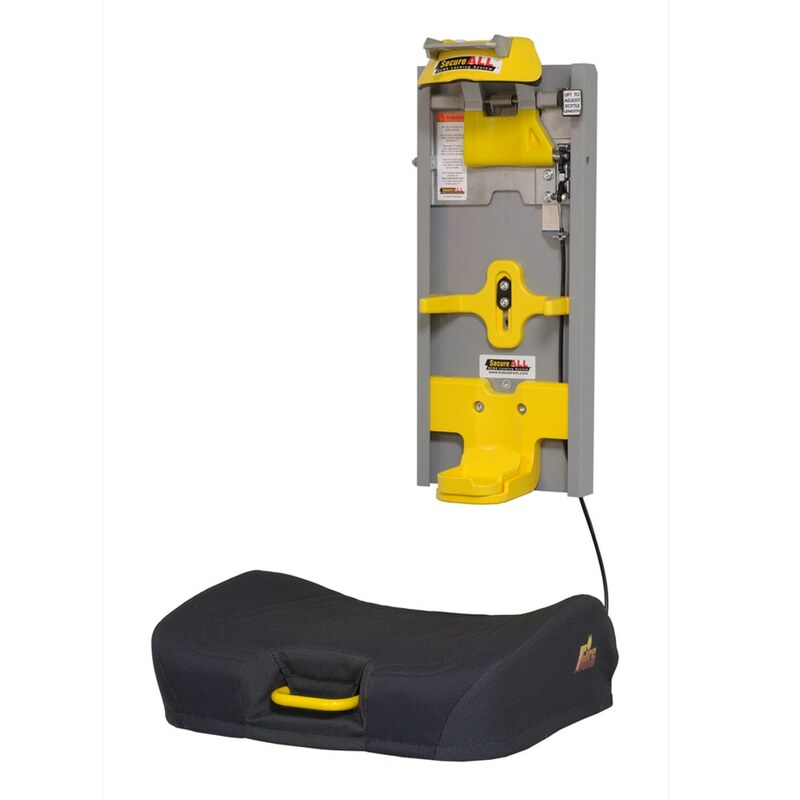 Also available: SecureAll™ retrofit kits including bracket, flip-out back pad, cable, release handle, and seat cushion. Back pad can also be purchased separately.